Greenwashing is a strategy to brand something as eco-friendly, green, sustainable, healthy etc. even if it is completely the opposite in reality. Earthcoin, one of minor crypto-currencies similar to Litecoin or Bitcoin, is a perfect example of this. As we already know, „mining“ of almost every crypto-currency needs electricity to power the CPUs, GPUs or ASICs. The ecological/carbon footprint of it is already huge and increasing every day. 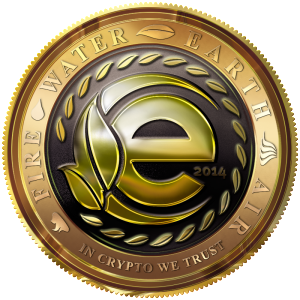 Earthcoin is one of „alt-coins“, using the very same hash algorithm as Litecoin uses. (and dozens of other almost-cloned „coins“). If Bitcoin and Litecoin have an ecological footprint, and their design (mining the „coins“ by solving a cryptographic challenge) is fundamentally the same, then also these other coins have an ecological footprint. Period. By looking at the website http://earthcoin.biz/ we see a lot of images and logos that promote Earthcoin. we see beautiful green planet here and there, a blooming tree, the names of four elements … all the associations would be perfect if the product presented was some ecological alternative to something polluting. Here the seemingly green alternative does not differ at all from any „conventional“ crypto-currency. It’s perhaps fine that it is out of control of central banks but we should be still aware that mining such coins wastes energy. Můžeš mi prosím vysvětlit, jakou zátěž tu vidíš? Mám malé znalosti, jak „těžba“ těchto kryptoměn probíhá, ale pochopila jsem, že vše probíhá při běžném provozu počítačů… Spíš tam vidím mnoho dalších nevyslovených věcí.. Díky, Martine.